*A space will be set up for guests to mingle and engage in discussion prior to and following the film for each day. 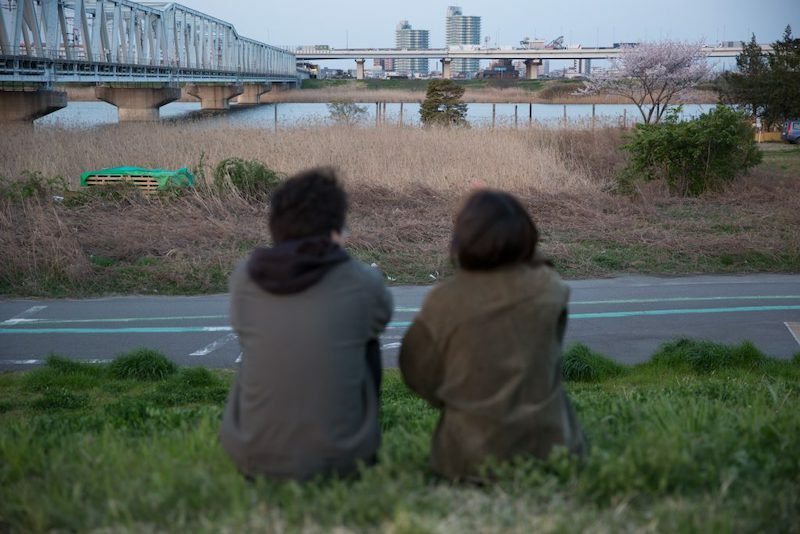 Whatever it takes to live together, to overcome exclusion and discrimination – Koki Tanaka presents the Japanese premiere of his “vulnerable” road movie. In view of the worldwide rise of nationalism, populism, and xenophobia, the artistic social studies of Koki Tanaka focus on how we live together in societies. Commissioned by the Migros Museum für Gegenwartskunst, the project Vulnerable Histories (A Road Movie) (2018) highlights the mutual incomprehension and mistrust between ZainichiKoreans and ethnic Japanese, to plead for vigilance toward racism and discrimination. The project centers on a series of conversations in various settings between two protagonists – a Zainichi Korean living in Japan and a Swiss national whose Japanese great-grandparents immigrated to the United States around 1900 – who have not met before. Shadowed by the artist and his camera team, they travel to various locations where Zainichi Koreans experienced discrimination in Tokyo metropolitan area, to grapple with questions of (their own cultural) identity and how to take a stand against the simplistic worldviews of racist groups. The films that grew out of the project illustrate that coexistence and mutual appreciation are possible if we talk to each other: private as well as public conversations are key. For this screening of the short version for Theater Commons Tokyo, we would like to create the opportunity for sharing experiences of the artwork as a group. An assembly space will be set up for guests to mingle and engage in discussion prior to and following the film. Koki Tanaka was born in 1975. His creative activities are centered around his interest in documenting phenomena such as the organization of happenings or the inner workings of groups. His art has been on view in numerous countries, including, most recently, at Kunsthaus Graz (2017), the Deutsche Bank KunstHalle, Berlin (2015), the Van Abbemuseum, Eindhoven (2014), the National Museum of Modern Art, Kyoto and Tokyo (2013), the Museum of Art, Seoul (2013), the Hammer Museum, Los Angeles (2012), the Taipei Contemporary Art Center (2012), and the Palais de Tokyo, Paris (2007). Tanaka was Japan’s official representative at the 55th Venice Biennale in 2013 and received Deutsche Bank’s Artist of the Year Award in 2015. In 2017, he contributed work to Skulptur Projekte Münster and the 57th Venice Biennale.